Today’s winner is Bryan Fischer, the so-called “Christian” radio talk show host who tweeted this bit of stupidity. Christian is the new black, Big Gay is the new KKK. This makes sense, as soon as gays do things such as lynching Christians or vandalizing their property. Although usually, the violence is the other way around and gays are often the targets. Many conservative Republicans like to blame libertarians for why the GOP has lost the past three out of four national elections. However, just as yes some libertarians do support Libertarian Party candidates over Republicans sometimes in competitive districts, we have social conservatives choosing to spend money to defeat Republicans, a couple of whom are in competitive races. 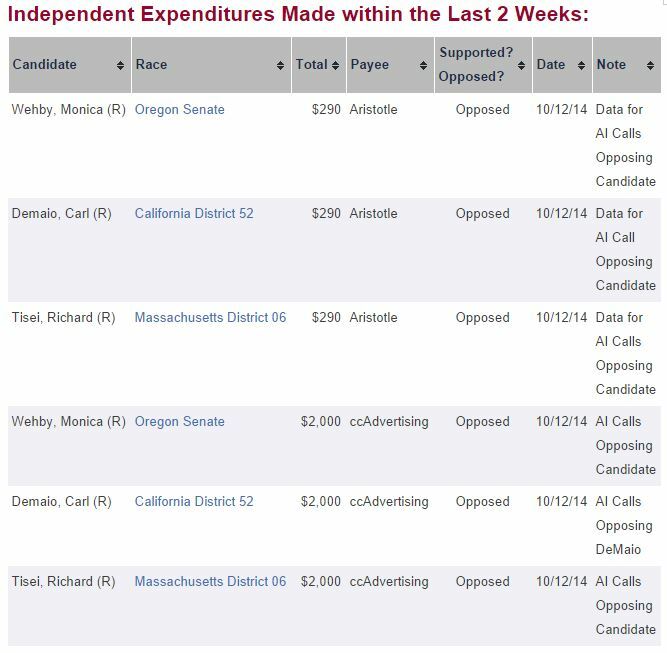 According to OpenSecrets.org, the National Organization for Marriage has spent $6,870 in the past two weeks, its only campaign related expenditures in those two weeks, robocalling against three pro-gay marriage Republican nominees, Oregon Senate candidate Monica Wehby, California House candidate Carl Demaio, and Massachusetts House candidate Richard Tisei. While Wehby is not considered a competitive candidate in her race, Demaio and Tisei (who are both openly gay) are both locked in competitive races against Democratic candidates, who presumably support gay marriage as well. Why are social conservatives, who presumably agree with Demaio and Tisei or more issues than their opponents, are working against both men and working to elect Democrats instead? Maybe social conservatives shouldn’t talk before accusing libertarian Republicans of being disloyal to the Republican Party or blaming them for why GOP is losing election while actively spending money and working against Republican nominees. This is akin to the Republican Liberty Caucus spending money to hurt Republican candidates to help Libertarian Party candidates.